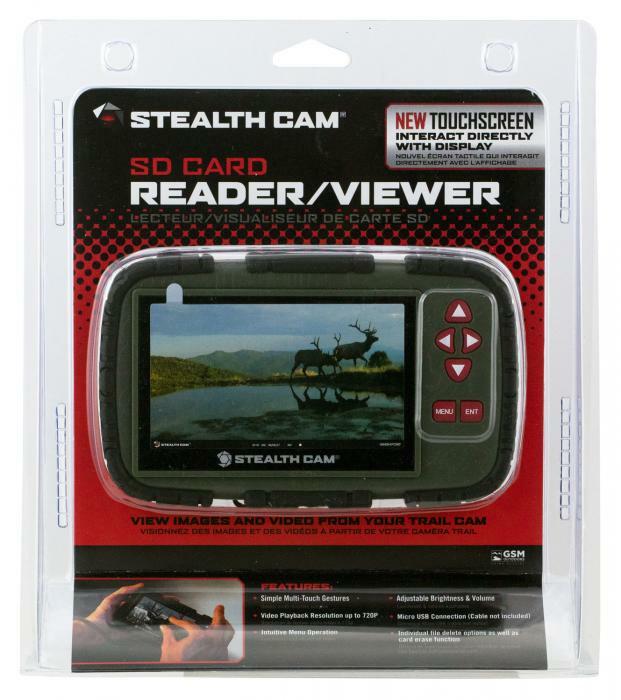 Stealth Cams' SD Card Reader/Viewer features a 64GB SD memory card slot and headphone jack for audio playback. It is made of a rugged housing with durable rubberized buttons, adjustable brightness, and the ability to pan or zoom images. The SD Card Reader/Viewer utilizes a mass delete function, mini USB connection, and is powered by four (4) AAA batteries. NOTE: USB cable and batteries are not included.